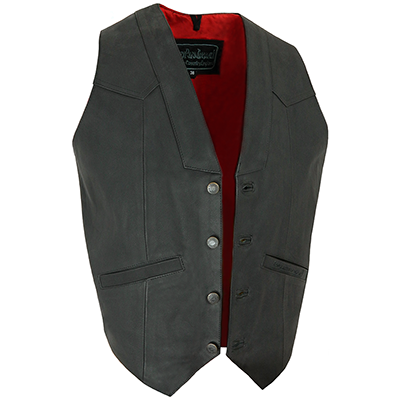 The soft and supple matt black cowhide looks smart and is only complemented further by the red cotton-rich lining. 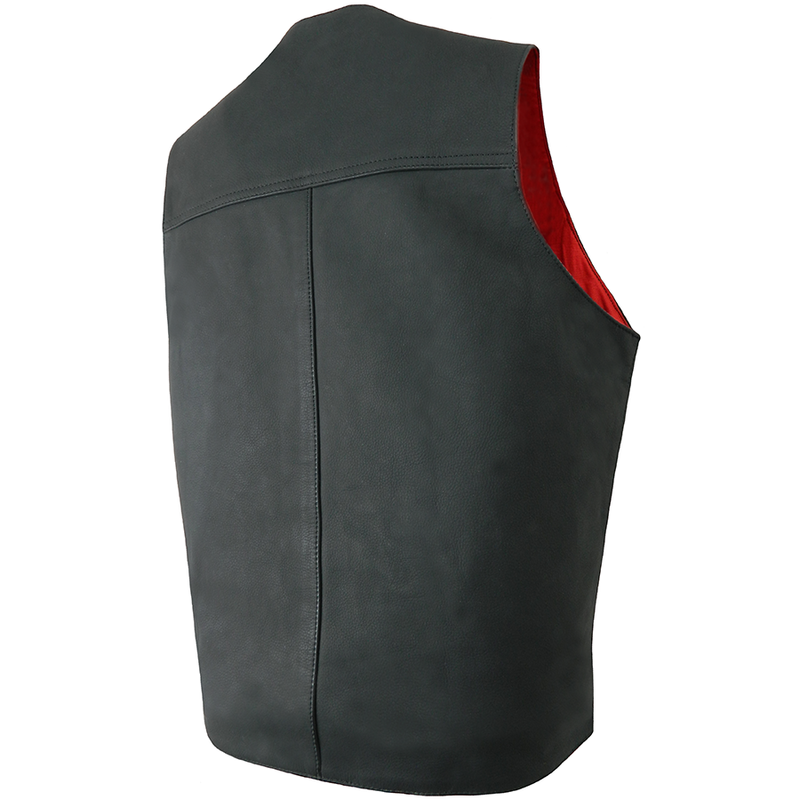 Quality button fastening, two slanted external pockets and one internal pocket. If you want a leather cut that’s a cut above the rest, this waistcoat is hard to beat on style and quality and the matt black cowhide is something special.